ANDRITZ Kufferath is one of the leading manufacturers of metal fabrics and wire cloth, which are used in a wide range of applications. 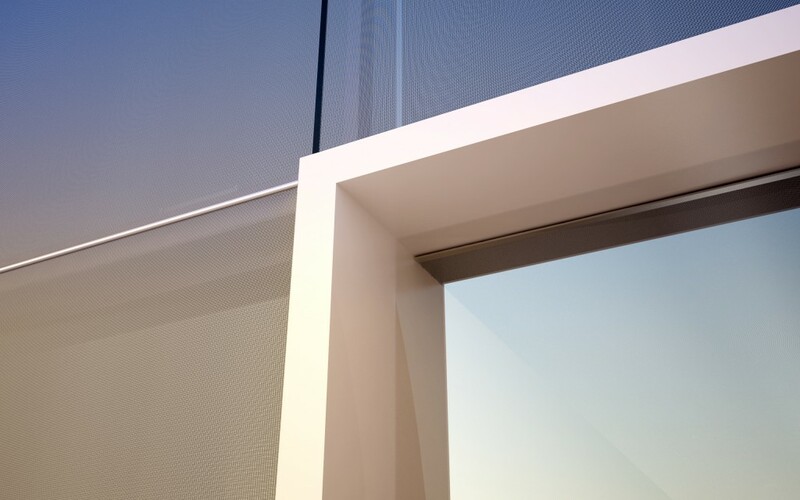 Whether they are used as façade cladding, suspended ceilings, wall covering, flooring, partition walls or protection against the sun, these fabrics develop their particular appeal in a multitude of applications. ARTOS fabrics stand for excellent interior and exterior applications. They are used in architecture and also as design elements. The special appeal of the material is its transparency, reflection capability, and its structure. By weaving fine, flexible cables in lengthwise (warp) direction and full profiles in cross (weft) direction, the material offers stability in one direction and flexibility in the other. The fabric gives the designer almost unlimited creative leeway. The stainless steel material guarantees a high degree of reflection and almost unlimited durability. With the ARTOS program, ANDRITZ Kufferath offers the designer a wide variety of different mesh types. Of course, the ARTOS team will provide support with all the installation details or develop a new solution, tailor-made for you, to meet your individual requirements. Benefit in your planning work from the know-how of your system supplier, ANDRITZ Kufferath. Architects and designers hold the special characteristics of ARTOS wire cloth in high esteem. This material succeeds in solving the apparent contradiction in terms between being open and being closed, as almost no other material can. With ARTOS wire cloth fabrics, we offer the designer a material that unifies opposites so that architectural concepts can be realized. No matter whether vertical wall panels, cubes or sculptural shapes, the force of natural lighting and ventilation need not breach the building structure by penetrating it at many different points. By using architectural fabrics, a uniform skin is created that retains physicality, while still guaranteeing openness and vista. Both natural and artificial lighting provide interesting reflection and color effects. Depending on the angle of the lighting, the fabric can change from being transparent to become opaque. If light radiates from inside the body of the object, the fabric becomes a translucent membrane, and if the light shines on the fabric from outside, it forms a closed surface that is dominated by reflection effects. ARTOS Architectural Wire-Cloth TecnoWeave is a prime example of diversification in the house of ANDRITZ Kufferath. While diagonal-covers for dandy-rolls and dewatering-applications for the paper-industry were manufactured in the beginning, TecnoWeave today delivers technical wire-cloth for diverse industries in the transportation, drainage and filter industries as well as in the area of architecture and design worldwide. The ARTOS product family contains metal fabrics of excellent quality and in various appealing optical appearances for architecture and design. ARTOS stainless-steel wire-mesh for interiors and exteriors persuade by their shapeable design and excellent functionality. Whether horizontal, vertical, bent or rolled, they provide ceilings, walls, facades and balustrades with a new appearance. The durability of high-grade steel against corrosion and weather is decisive for long-life and continuing aesthetics. Transparency, elegance, simplicity and structure – precious metals as a design element make their own statement in architecture. Depending on your perspective, they cover or reveal; depending on the time of day, they cast shadows or seem transparent. The viewer is confronted with an ever-changing impression of the architectural form.